Knowing the right lead for your dog doesn’t always come instinctively, which is why having experts in the field on hand to settle any confusion can be a blessing. 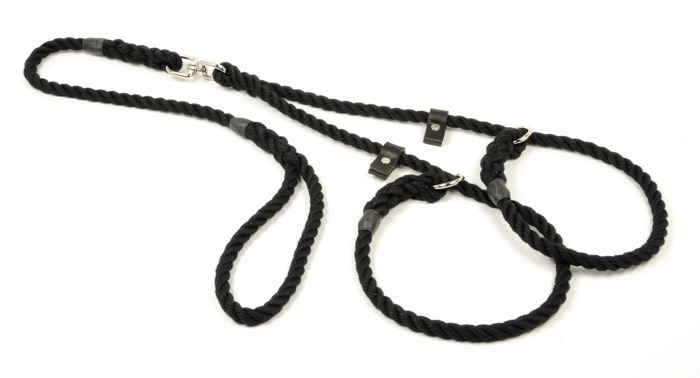 At the Dog Lead Shop we’ve been supplying the best in dog leads to the UK for over 10 years, and we’re always striving to ensure pets have the best leads and accessories, offering maximum comfort for the walker and the wearer. 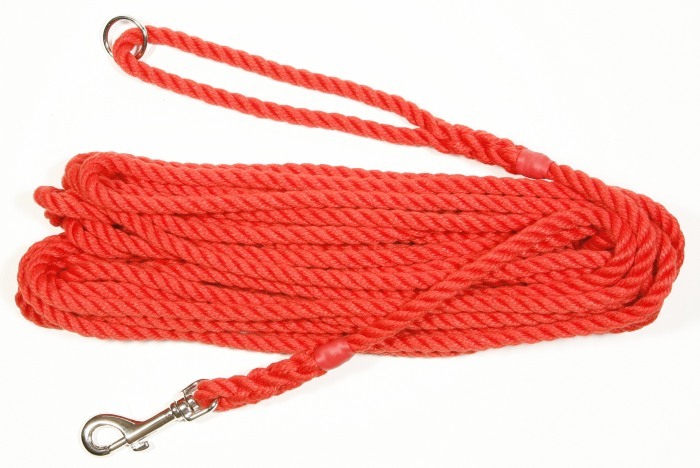 Rope leads are one of the most popular dog lead choices, and it’s not hard to understand why! Having a good lead for a dog has a whole host of benefits – safety, to name but one. Losing control of a dog on a lead can have many sad endings, including accidents that injure the dog, lost or stolen dogs, and unfortunately, in some scenarios, injury to other dogs or people. To maximise the safety of your pet, having a strong and sturdy lead is a must, and they don’t come much more durable than a rope lead. 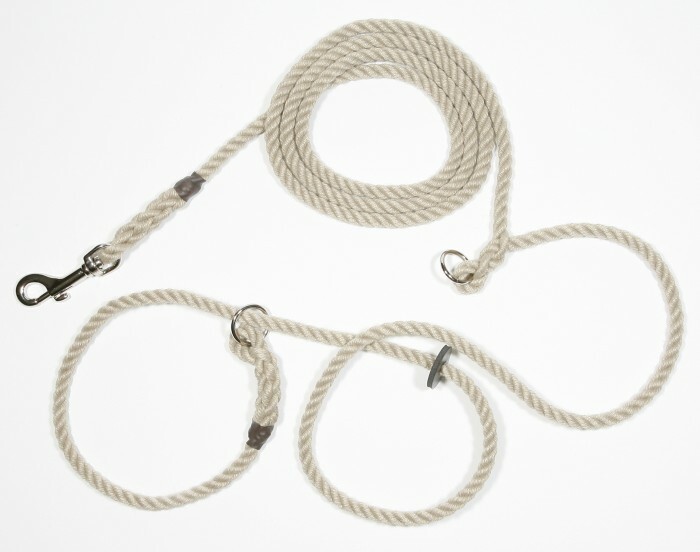 As well as being exceptionally durable and allowing for an impressive amount of control, rope leads are quick to dry, slow to deteriorate, and easy to clean. 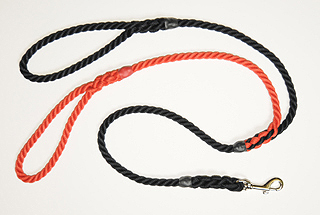 We stock rope leads in a variety of styles and colours, perfect for walking and even training. All of our leads are compatible with our carefully-selected range of collars to maximise the potential and the results of each product. Our premium leads and collars and all high quality and come recommended by industry professionals, walkers, trainers, and even the RSPCA and police force. 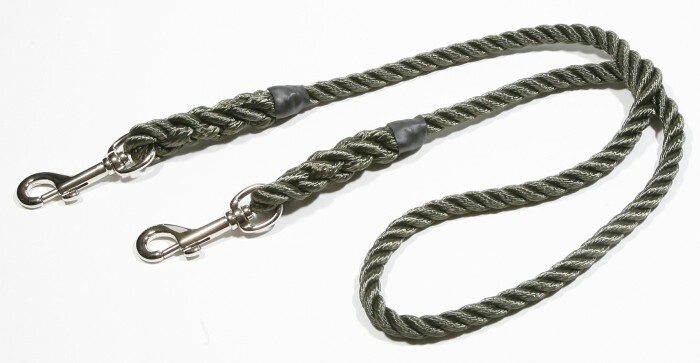 If you’re a dog owner or professional looking for the best rope dog leads on the market, look no further than the Dog Lead Shop to satisfy your requirements. 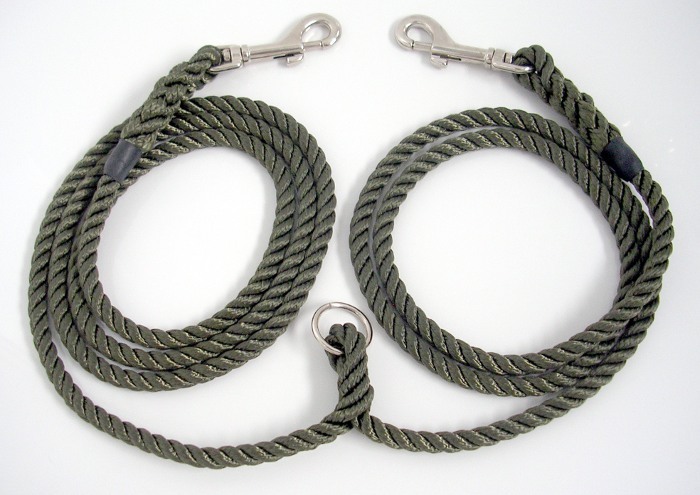 KJK Rope slip/clip leads have our standard slip collar on one end with a choice of stoppers, and a clip on the other end. Rope dog show lead with centre pull collar. 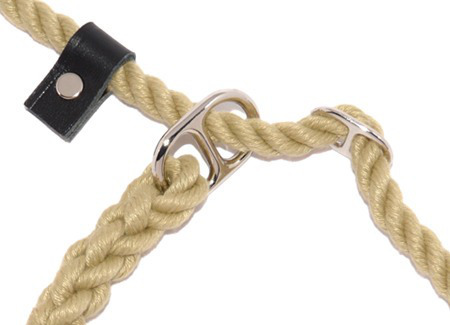 For help selecting the right type of rope for your dog, see our rope size guide.